Very limited quantity for this special Christmas package. 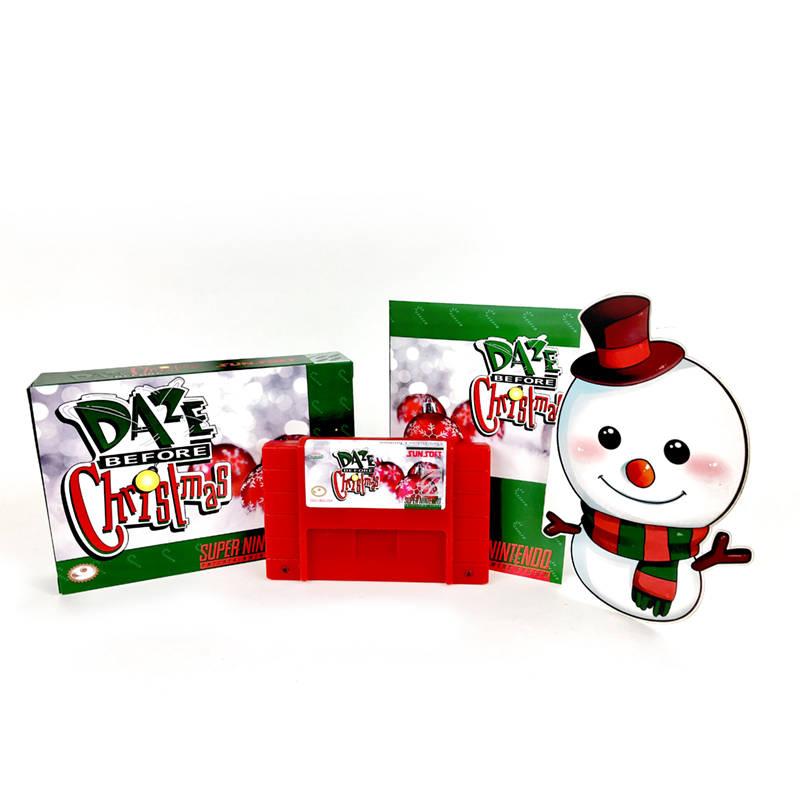 Daze Before Christmas is a video game developed by Norwegian video game development company Funcom and originally released by Sunsoft onto the Sega Mega Drive in 1994 exclusively in Australia. A version was also released for the Super NES both in Europe and Australia. A North American release was planned however it was canceled. It is one of the last games to be released by Sunsoft’s U.S. division. The player controls Santa Claus as he races to save Christmas from an evil snowman who has imprisoned Santa’s elves and captured Santa’s reindeer. Santa faces foes such as giant rats, evil toys and living snowmen using his magic powers to turn them all into harmless Christmas presents. He can also collect a power-up that makes him shoot flames which melt ice. Santa’s magic can also be used to open the Christmas presents scattered around the levels. These presents may contain enemies, power-ups or bombs. Santa’s energy level is represented by Santa hats, which represent how many hits he can take before losing a life. He can collect more hats to replenish lost energy. The game’s most remarkable feature is Santa’s ability to turn into his evil twin, “Anti-Claus”. By drinking a cup of coffee, Santa transforms into a blue-suited, devilish looking version of himself. As Anti-Claus, Santa is invincible, but unable to use his magic or collect gifts. His primary method of attack is swinging his sack of toys at enemies. In a break between platform levels, at several points in the game, Santa flies in his sleigh and uses the presents he collects to drop them down chimneys in several locations around the world.